It's hardly novel for me to tell you food is that great connector between us humans. The pleasure, nourishment and comfort it can provide transcends age, class and culture. It also transcends time. When Canada's first prime minister, Sir John A. Macdonald sat down for a meal, I doubt it was a perfunctory act. My money is on him needing the same things we expect today from any dish put before us, especially after he spent a long day on the Hill, or in court or his Kingston law office before his election. 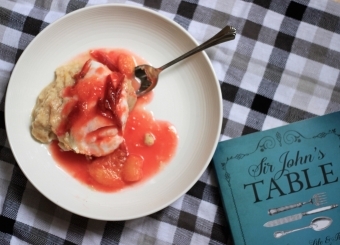 Sir John's Table by Lindy Mechefske (Goose Lane, $19.95) is the story of the man through food, confirming the father of Confederation was as much a fan of good eating as he was drinking. Thanks to the subjectivity of recounting the past, I often forget historical figures were real people. Good old grade school history class made John A., with his reputation of liking his liquor and being a callous racist, little more than a caricature in my mind, much like others of his time and ilk. But Sir John's Table is a reminder that he was a thinking, feeling human being and there are moments in the book that evoke great empathy in the reader. And of course, there are the stories of food sprinkled throughout to draw a deeper connection to the man who, for many, is little more than the knobby face on our ten-spot. The man himself. Thanks Pixabay! Mechefske tells an important story of our culinary history as a nation through Sir John A. 's life. It's context that's often lacking in all of the talk, tweets and blogging that goes on today about food, and we're enlightened to it in stories about where and what he liked to eat, and the recipes threaded through tales of his personal and public life. Granted, some of those recipes sound absolutely dreadful, reflecting the lack of access to every spoil that a modern-day supermarket provides so we can eat whatever we desire without thought of season or region. They also read like a conversation with your mom or grandma when asking for a favourite childhood recipe that you so desperately want to make yourself: A little of this, a little of that and into the oven it goes. Not a precise measurement to be found; both disaster and disappointment imminent. It's enough to make a recipe tester throw down her wooden spoon in frustration. But I can tell you the Sir John A. Pudding pictured above is nothing short of delightful, with its simple mixture of eggs, meringue, butter, breadcrumbs, milk and exotic lemon zest. Sure, it's a how-to that leaves itself open to interpretation. The red plum compote on top (a few plums, some sugar and lemon juice cooked down free-form — instructions like what you'll find in the book) is my bit of Niagara flair but I don't think the man himself would have minded. In fact, I think he'd have asked for seconds along with directions to the farm stand where I found the fruit. (It was Werner's on Lakeshore near Lock 1, FYI). I recently caught up with Lindy about her new book, which is about to be released. 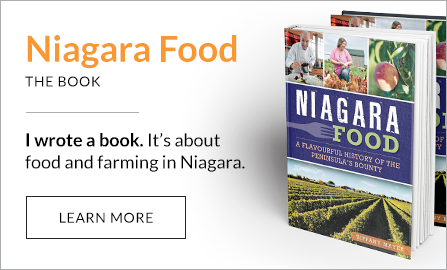 As someone who gained a huge appreciation for history's role in the way we eat and produce food while I wrote Niagara Food, it was a thrill to connect with this culinary historian. Her answers were full of delectable bits, just like the book itself, a copy of which I'm also giving away. Thanks Goose Lane! Eating Niagara: Why did you decide to tell the story of Canada's culinary history through John A. Macdonald and his life? Linda Mechefske: I love food. I love history. And I love Canada. And since I live in Kingston, where Sir John A.’s presence looms large, the combination of all these things just made this book seem like a really good fit for me. I wanted to explore John A. through the lens of food. Culinary history has been somewhat overlooked in this country, unlike so many other places like India, France, Italy, Mexico, Turkey, and Japan – countries that value their culinary past so greatly. Culinary history brings the past to life and makes it so much more human. Food gives an energy and vitality to history. 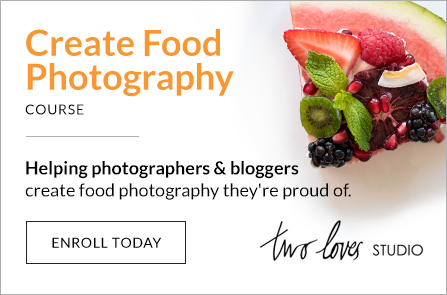 Plus as food writers we know that when we’re writing about food, we’re really writing about so much more – about character – about humanity – about ritual -and about powerful emotions like love and need. It’s my contention that food stories are the real stories of our lives. EN: If John A. were alive today, would you describe him as a foodie? Do you see him as the type of guy who would be tweeting and instagramming everything he ate? LM: I wouldn’t have thought of John A. as a foodie until you asked this question! But that’s an interesting way of looking at him. He was a social animal that totally understood the value of food, of dining, and of the social aspects of eating. He knew that food brought people together. He loved a dinner party. He loved a party. Period! He loved the tavern. He entertained frequently and always with great quantities of food and alcohol. He even used food as a campaign tool – throwing lavish picnics to draw people in. As for the instagramming and tweeting everything he ate – YES!! – I believe he would have been guilty as charged! And he would have loved Facebook. He was so sociable and he commented a lot on food in his letters home to his mother and family, describing in great detail his dinners and breakfasts. Really it seems like he was the original Canadian food blogger!